Kano, a popular city in the Northern region of Nigeria offers numerous attractions for tourists across the world. And besides visiting the tourist-worthy sites, travelers can also enjoy tasty traditional food of the north. Although, the food of the region is not considered as the primary reason for its popularity, but one cannot ignore the fact that the Northerners have contributed richly to Nigeria’s national food identity. No matter the time you have chosen to visit Kano, you will get the chance to enjoy best traditional food in the area. The good thing is that most of the traditional foods have very rich and unique taste. It has a lot of unique spices like Thai or Indian food and most contain cereal including rice, millet, and corn as main ingredients, which are all healthy. They are also served across the area in dining outlets like food courts, hotels, restaurants, canteens and roadside dining shops. Below, we share a few famous traditional foods of the Northerners. This mouth-watering dish is possibly the most popular foods in the Kano. It is also very palatable and widely embraced by other cultures in the country. The meal consists of thick rice pudding and spicy sauce. If you are visiting the region, try this meal to broaden the spectrum of your taste. And once tried, you may find it hard to resist the temptation of re-ordering. 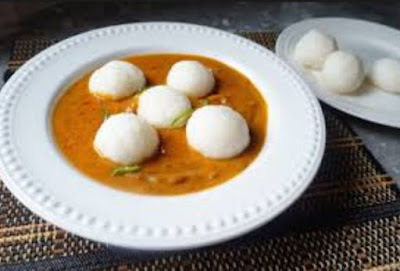 A dish usually prepared with ground corn or rice, cooked with vegetables, tomatoes, onions, pepper, garden egg, locust beans, groundnut, biscuit bone, meats minces and sometimes, assorted meat parts, Pate is largely consumed not just in Kano, but also in Kaduna, Nassarawa, Plateau and other Northwestern states. This dish is primarily porridge and is an all-time favorite liked by almost all age groups. Miyan Kuka is certainly the most famous northern Nigerian soup and translated as “Boaba leaf soup”. The green draw-soup is made from ground baobab leaf and special spices, preferably ‘yaji’ - a mixture of ground pepper, ginger, garlic and other seasonings/herbs. 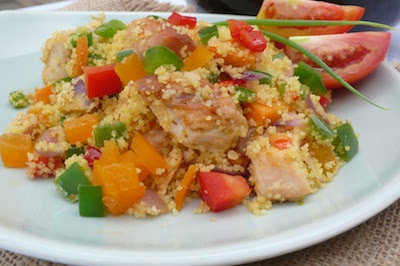 A traditionally made couscous meal commonly eaten by people in Kano, Brabusco is loved and enjoyed by many. Usually paired with spicy stew of meat and vegetables, its rich ingredients categorize it among luxurious dishes in the region. 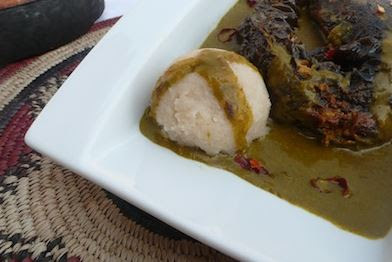 This is a side dish made with ground guinea-corn made thick and cassava. It is best eaten with soups like Kuka and okra. This meal is unique majorly because it is best prepared with firewood.